This is a must hike if you are staying in or close to Heraklion town or region which combines a short and easy hike with swimming and snorkelling. 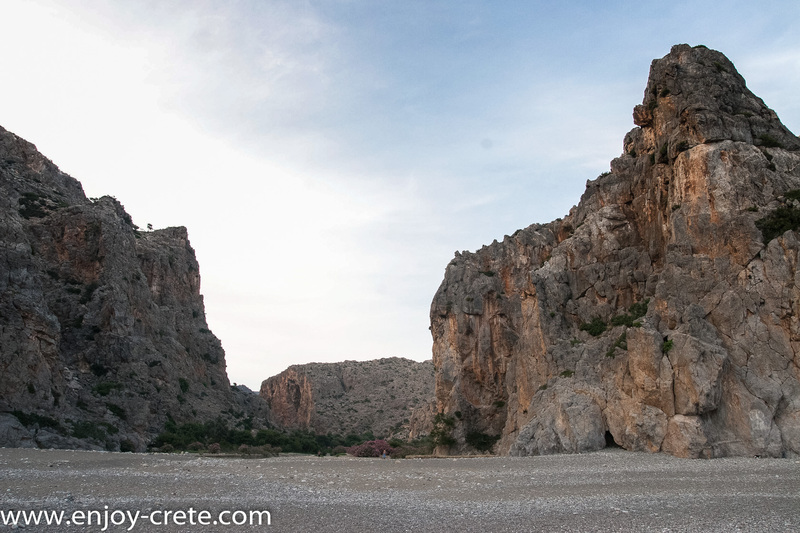 The gorge is bounded by rising huge vertical rocks at its right and left sides, where there are many caves. 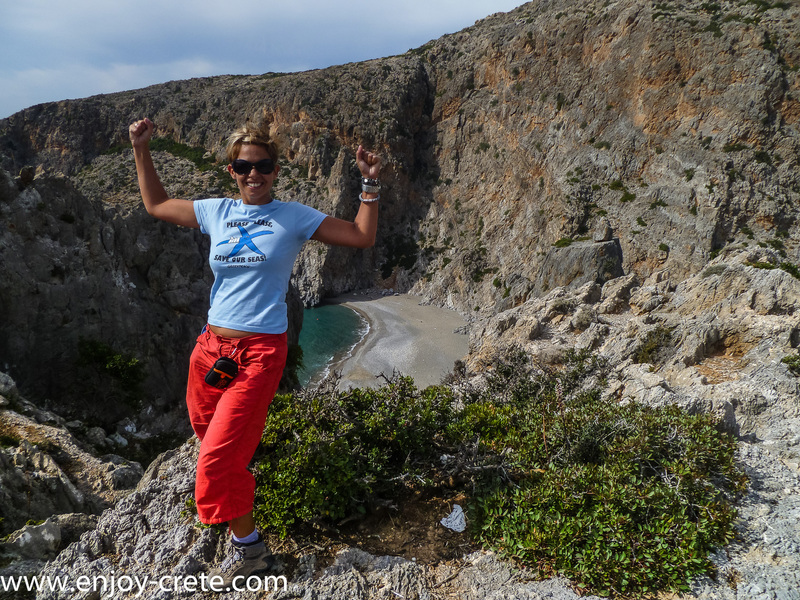 Agiofarago is very scenic and picturesque, accessed only on foot. 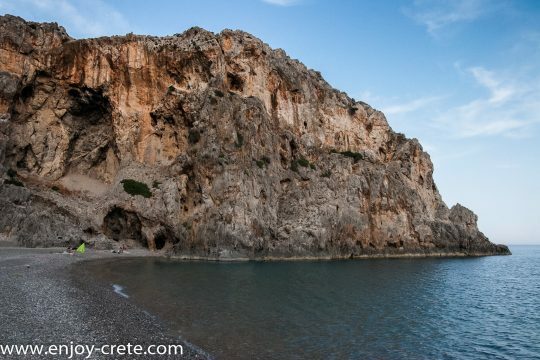 The place is isolated, wild and rugged. 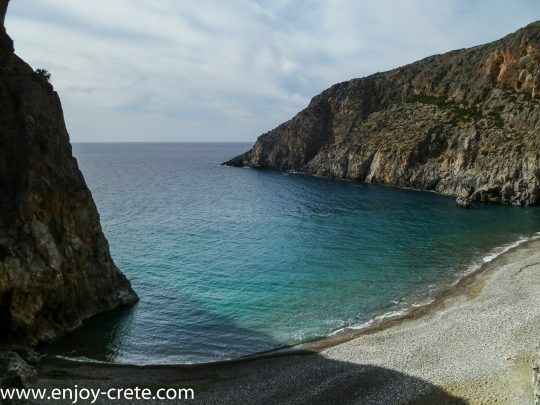 All this with the fact that it is too far from populated areas made Agiofarago the first center of ascetic life not only of the region but of the whole Crete, in the earliest Christian times. 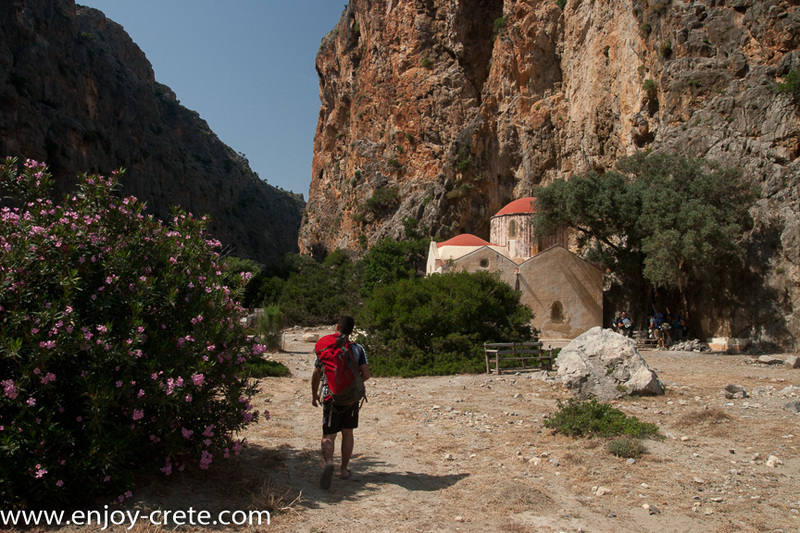 Going down the gorge and about 3 minutes before the beach, you reach the church of Saint Anthony (Agios Antonios) which was the center of the asceticism of the area. The church of Saint Anthony is believed to have been renovated three times to get its current form. 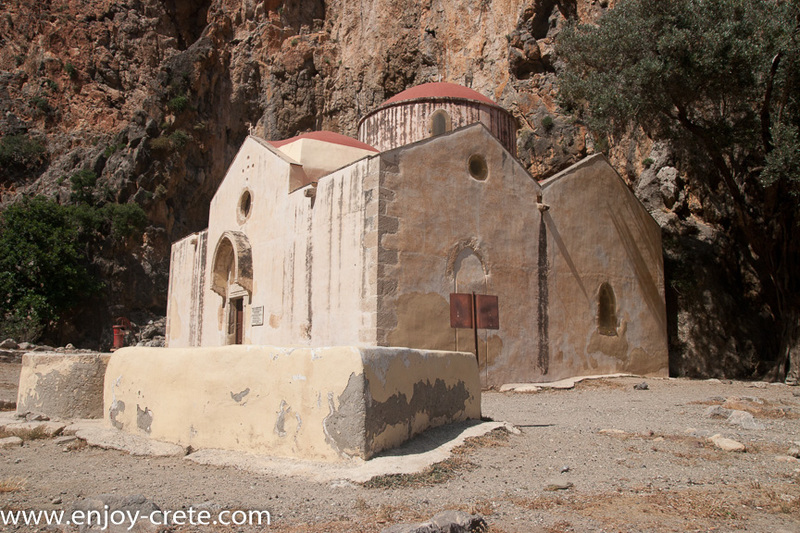 The monastery of Odigitria is a monastery of great importance and historical value and one of the oldest in Crete. It is located at the west edge of the Asterousia mountains at an altitude of 250 meters just 2km before the starting point to Agiofarago. The monastery was built like a fortress and part of its wall is still visible. The buildings of the complex surround the central two-aisled church of the monastery, dedicated to the Assumption of the Virgin Mary and the Apostles Peter and Paul. There was a third aisle, dedicated to St. Fanourios, but it has been demolished. You will need to pack your lunch. Other than that you will need at least 2lt of water,sun glasses, hat, sunscreen and a swimsuit if you would like to swim. It will be fine to do this hike with normal sport shoes but hiking shoes are much more recommended due to rocky and sharp terrain. During winter you will need a waterproof jacket and pant plus a fleece jacket. We usually don't take more than 6 participants. If you are a large group (more than 10) please get in touch early as we can't arrange last minute transport for large groups. 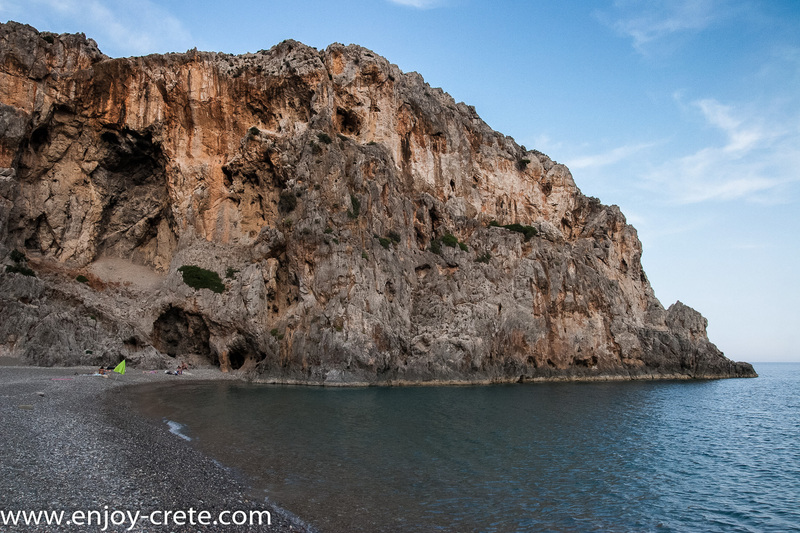 We pick up clients from Heraklion and near by. Many times we are able to pick up clients from other locations as well but it needs to be on our way to the starting point. If you need transport and you are not sure get in touch with us. Remember to send us the exact location of your hotel, not just the name. Transport is provided for free.